Translation of L'esprit des betes; zoologie passionnelle, mammifères de France. 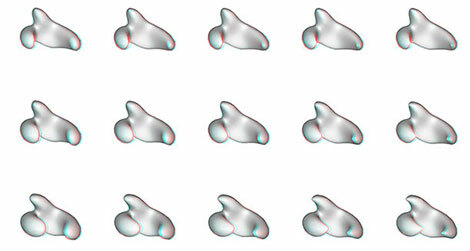 Do Our Brains Find Certain Shapes More Attractive Than Others? 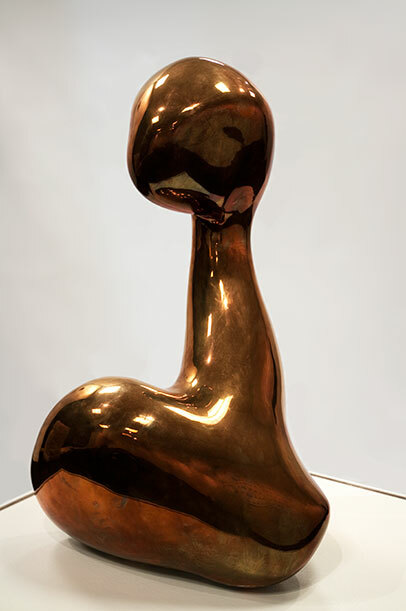 Jean (Hans) Arp, Consiente de sa Beauté (Conscious of Her Beauty), 1957, polished bronze. Image courtesy of Chrystal Smith, Art Associate, Science. A century ago, a British art critic by the name of Clive Bell attempted to explain what makes art, well, art. He postulated that there is a “significant form”—a distinct set of lines, colors, textures and shapes—that qualifies a given work as art. These aesthetic qualities trigger a pleasing response in the viewer. And, that response, he argued, is universal, no matter where or when that viewer lives. In 2010, neuroscientists at the Zanvyl Krieger Mind/Brain Institute at Johns Hopkins University joined forces with the Walters Art Museum in Baltimore to conduct an experiment. What shapes are most pleasing, the group wondered, and what exactly is happening in our brains when we look at them? They had three hypotheses. It is possible, they thought, that the shapes we most prefer are more visually exciting, meaning that they spark intense brain activity. At the same time, it could be that our favorite shapes are serene and calm brain activity. Or, they surmised we very well might gravitate to shapes that spur a pattern of alternating strong and weak activity. To investigate, the scientists created ten sets of images, which they hung on a wall at the Walters Art Museum in 2010. 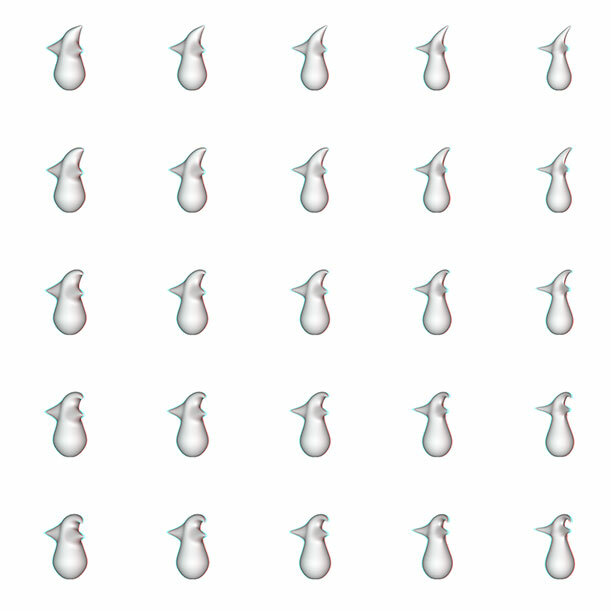 Each set included 25 shapes, all variations on a laser scan of a sculpture by artist Jean Arp. Arp’s work was chosen, in this case, because his sculptures are abstract forms that are not meant to represent any recognizable objects. Upon entering the exhibition, called “Beauty and the Brain,” visitors put on a pair of 3D glasses and then, for each image set, noted the their “most preferred” and “least preferred” shape on a ballot. The shapes were basically blobs with various appendages. The neuroscientists then reviewed the museum-goers’ responses in conjunction with fMRI scans taken on lab study participants looking at the very same images. “Beauty and the Brain Revealed,” an exhibition now on display at the AAAS Art Gallery in Washington, D.C., allows others to participate in the exercise, while also reporting the original experiment’s results. Ultimately, the scientists found that visitors like shapes with gentle curves as opposed to sharp points. And, the magnetic brain imaging scans of the lab participants prove the team’s first hypothesis to be true: these preferred shapes produce stronger responses and increased activity in the brain. Now, you might expect, as the neuroscientists did, that sharp objects incite more of a reaction, given that they can signal danger. But the exhibition offers up some pretty sound reasoning for why the opposite may be true. Another group of neuroscientists, this time at the University of Toronto at Scarborough, actually found similar results when looking at people’s preferences in architecture. In a study published in the Proceedings of the National Academy of Sciences earlier this year, they reported that test subjects shown 200 images—of rooms with round columns and oval ottomans and others with boxy couches and coffee tables—were much more likely to call the former “beautiful” than the latter. Brain scans taken while these participants were evaluating the interior designs showed that rounded decor prompted significantly more brain activity, much like what the Johns Hopkins group discovered. “It’s worth noting this isn’t a men-love-curves thing: twice as many women as men took part in the study. Roundness seems to be a universal human pleasure,” writes Eric Jaffe on Co.Design. Gary Vikan, former director of the Walters Art Museum and guest curator of the AAAS show, finds “Beauty and the Brain Revealed” to support Clive Bell’s postulation on significant form as a universal basis for art, as well as the idea professed by some in the field of neuroaesthetics that artists have an intuitive sense for neuroscience. Maybe, he claims, the best artists are those that tap into shapes that stimulate the viewer’s brain. “Beauty and the Brain Revealed” is on display at the AAAS Art Gallery in Washington, D.C., through January 3, 2014. There’s no question that at 20,310 feet, Denali is the highest peak in North America. The identity of the highest mountain beyond the Arctic Circle, however, was disputed for almost 60 years, Ria Misra at Gizmodo reports. Now, the matter has finally been resolved thanks to technology created by Matt Nolan, a glaciologist from the University of Alaska, Fairbanks. While researchers had a pretty good grasp on the heights of mountains in the Wrangell, St. Elias and Alaska ranges in southern and central parts of Alaska, when it came to the Land of the Midnight Sun's Brooks Range, stretching 700 miles between the Arctic National Wildlife Refuge in Alaska and the Yukon above the Arctic circle, things were a little less certain. The conflict dated back to 1956, when a USGS survey tried to map the Brooks Range, Misra reports. One set of data indicated Mt. Chamberlin was the highest, while another map with a different scale said Mt. Isto was the highest. Historically, measuring a mountain has been pretty difficult—in the past, trigonometric methods were used, but they are often inexact compared to modern methods. Today, measuring a peak down to the nearest inch means getting an instrument to the top, usually a GPS receiver. But climbing to the summit of some peaks, like those in the remote mountains of Alaska's Brooks Range, can be incredibly difficult, time-consuming and costly. Nolan decided that determining the highest peaks in the Brooks Range would be the perfect way to test his new fodar setup, which uses a DSLR camera connected to a GPS unit to collect data for accurate 3-D maps of an area. “It’s not like no one could measure this before—it was just way too expensive to do so,” Nolan tells Misra. Nolan's technology is similar to airborne lidar. While lidar can cost half a million dollars and requires a twin-engine plane and a separate operator to use, Nolan says his fodar setup, which he plans to use to measure the mass of receding glaciers in Alaska, costs $30,000 and can be run by a pilot in a single-engine plane, according to a press release. To put his fodar to the test, Nolan enlisted the help of Kit DesLauriers, one of the world’s greatest ski mountaineers and the first person to ski down the Seven Summits, the seven highest peaks on Earth. Her job was to make it to the tops of Chamberlin and Isto and use a differential GPS system to measure their heights. At the same time, Nolan would use his fodar to map the peak, allowing them to test the accuracy of the new technology. The fodar method was accurate down to about eight inches, according to results, which were published in the latest issue of the journal The Cryosphere. The study reveals that Mt. Isto is the highest peak in the American Arctic at 8,975.1 feet. In a surprising twist, Mt. Hubley edged into second place with 16 feet on Mt. Chamberlin, which came in third at 8,898.6 feet. The U.S. has had its share of socialist candidates and socialist politicians, but Sinclair’s was among the most consequential. Sinclair’s candidacy is also among the most closely studied. The Campaign of the Century is the title of Greg Mitchell’s now classic book about Sinclair’s run. Mitchell—no relation to the author—showed how the 1934 governor’s race changed politics, opening the door to the national media-driven, consultant-managed campaigns we still have today. This was Sinclair’s inadvertent revolution—and more revolutionary than anything Sanders has done yet. Sinclair was a famous crusading journalist and novelist when he ran for governor, and his campaign was different in form from today’s anti-establishment bid. Sinclair’s campaign was part of the larger “End Poverty in California” (EPIC) campaign. It swept up the nation, and was the subject of books and coverage and other forms of media coverage. More than 1,000 EPIC clubs were launched, giving Sinclair a network far deeper than an online fundraising database. Sinclair published a short book called: I, Governor and How I Ended Poverty: A True Story of the Future. It was full of ideas—from state takeovers of farms and factories, to the establishment of a state-managed cooperative economy, to a $50-a-month pension for the elderly, all to be financed by a California monetary authority. Sinclair’s Republican opponent, incumbent Gov. Frank Merriam, was a rather lackluster personality, not a Trump-type or a Cruz-type firebrand. Merriam had been lieutenant governor and assumed the governorship on the death of his predecessor only a few months before the 1934 general election. Despite his limitations, Republicans and many conventional Democrats felt so threatened by the prospect of a radical Sinclair governorship that they rallied around, and voted for, Merriam. With the aid of a major (and pioneering) negative campaign, including Hollywood-produced attacks against Sinclair, Merriam won the 1934 election. Olson was not a particularly effective governor and on key issues often was opposed by members of his own party in the legislature. For example, Olson’s plan for a state health insurance program was quickly killed. In 1942, Olson was defeated for re-election by Republican Earl Warren. Republicans then held the governorship until 1959 when Jerry Brown’s father, Democrat Pat Brown, became governor. For decades thereafter, Republicans and Democrats each had their share of governors. Is there any lesson from Sinclair and his aftermath? Sinclair himself published an account in 1935, I, Candidate for Governor and How I Got Licked, that entertainingly repeated his themes, and portrayed the campaign as a success, despite its defeat. This was written for Zocalo Public Square. Think of the Anthropocene as a science fiction thought experiment. We imagine future geologists looking back into the rock record, and trying to pinpoint when humans became the dominant geologic force. In many ways, science fiction is the perfect genre for exploring environmental issues – running out scenarios and “what ifs” to their extremes, and imagining how that world would look and feel. Award-winning science fiction author Kim Stanley Robinson does exactly that in many of his works. In this episode of Generation Anthropocene, producer Mike Osborne sits down with Robinson to talk about his creative process and environmental thinking, what makes for good science fiction, and the genre’s capacity to imagine future societies shaped by climate change. Humans are pros at putting carbon dioxide into the air. Plants, bacteria, and even fungi are great at taking it out. But as we keep producing more and more and more carbon dioxide, it can be hard for them to keep up. So in a bid to help balance things out, construction is beginning just outside Houston on a $470 million dollar facility that will help soak up the waste of our industrial existence. The plant will do this through carbon capture and sequestration (CCS), "a key technology option in reducing carbon dioxide emissions from the world’s fossil fuel power plants," explains Scientific American. The idea behind CCS technology is that carbon dioxide (CO2) emissions that would normally be released in the combustion process are instead captured and stored. These emissions can be captured before or after the combustion process, depending on the technology and approach used. As a result, CCS can “clean up” fossil fuel powered plants, including the coal plants that account for 37% of the U.S. electricity supply. Once completed, the energy technology project will capture about 1.4 million metric tons of carbon dioxide (CO2) annually from an existing coal-fired power plant in Texas. The captured CO2 will then be used to extract additional, hard-to-access oil from a previously depleted field 80 miles away, safely storing the carbon underground in the process. Capturing carbon dioxide and then using it to extract even more fossil fuels is less than ideal, but one of the biggest problems with CCS to-date is the cost. According to Scientific American, "concerns exist as to whether or not the greenhouse gas can be stored permanently, without significant leakage over time." Cross your fingers that it will stay in the ground. Plates have added illustrated t.p. "Imprimerie de Bacquenois"--Verso of t.p. It’s not just adults who have to worry about identity theft—one study reports that one in ten children have compromised Social Security numbers. Nathan, a 14-year-old, had a credit history that went back more than 10 years. Several credit cards and a foreclosed mortgage were already in his credit history, all from a suspect living in California. The thief established good credit for the first 10 years and was able to finance a $605,000 home in CA through first and second mortgages. He also used the boy’s SSN to open several credit accounts. Then, the home loans went into default and the bank foreclosed. Additionally, a credit account with over $2,000 in unpaid charges went into collections. His parents filed a police report and the fraud was assessed at over $607,000. The researchers who did the study point out that parents are increasingly aware of the online risks like cyberbullying, but are generally unaware of the dangers of identity theft. And, according to Hardekopf, some states don’t even have a system to handle child identity theft. Delaware, Oregon and Maryland have all recently put in place laws that let parents set up a child’s credit identity and freeze that account until the child turns 18. Other states are considering following suit. The Chauvet-Pont D'Arc cave is one of the most famous underground caverns in the world, housing one of the oldest and best-preserved collections of prehistoric cave paintings ever discovered. 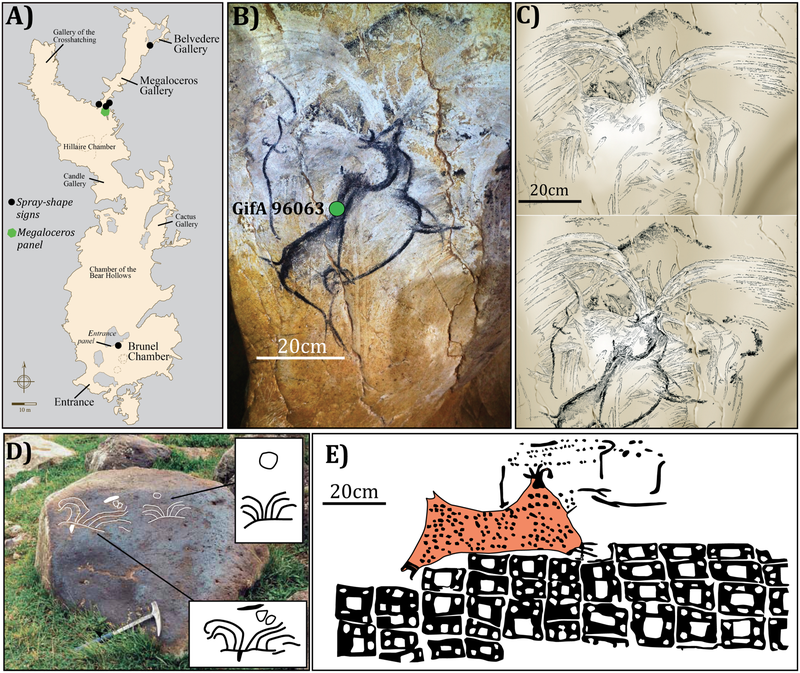 Now, researchers believe that some of the most mysterious, abstract designs found in the cave may be among the earliest paintings of volcanic eruptions. While most of the drawings in the Chauvet cave depict animals like wooly rhinoceroses, bears, and cave lions, a few drawings deep within the interior have puzzled archaeologists since the cave was discovered in 1994. The red-and-white paintings appear to be shaped like something spraying out of a nozzle, and in some cases were covered up by later drawings, Ewen Callaway writes for Nature. But according to a new study published in the journal PLOS One, researchers believe the images could depict volcanic eruptions nearly 37,000 years ago. Previously, the oldest-known recording of a volcanic eruption was a Neolithic mural discovered in the ruins of Çatalhöyük, an ancient city in southwestern Turkey. Researchers believe that painting shows a 7,500 BC eruption by Mount Hasan, an inactive volcano nearby the city. If the Chauvet cave paintings do depict volcanic eruptions, they would be by far the oldest yet discovered, Sanskrity Sinha reports for International Business Times. The closest volcano to the Chauvet cave that was active around the time the paintings were made would have been about 22 miles northwest of the caverns, in the Bas-Viverais region, John Lichfield writes for The Independent. While volcanic eruptions can take many different forms, geologists believe that the Bas-Viverais range may had “strombolian” eruptions, which look similar to the firework-like spray depicted on Chauvet’s walls. Even so, prior to this study, researchers had only discovered evidence for eruptions in the region that long predated the arrival of our ancient ancestors on the scene. So geoscientist Sebastien Nomade gathered rock samples from three of the region’s volcanoes. By measuring the levels of radioactive isotopes of argon gas, which is released during volcanic eruptions, Nomade and his team discovered that the Bas-Viverais range had experienced several dramatic eruptions between 19,000 and 43,000 years ago. The area around the Chauvet cave was likely populated around this time and far enough away that any inhabitants would have been safe from the eruptions but still have a good view of the action, Callaway writes. “You just have to climb the small hill on top of Chauvet, and looking north you see the volcanoes. During the night you could see them glowing and you could hear the sound of the volcanic eruption,” Nomade tells Callaway. Without being able to interview the artists themselves, researchers will never know for sure if the mysterious drawings were inspired by a nearby volcanic eruption. For now, though, it’s a promising idea, Oxford University archaeologist Michael Petraglia, who was not involved in the study, tells Callaway. Before World War I, Thomas Edward Lawrence was a post-grad archaeologist who worked for several years in Jordan, Iraq, Syria and other parts of the Ottoman Empire. He knew the landscape well, and even more, he was familiar with the railway lines. So when war broke out between Britain and the German-aligned Ottomans, the Brits tapped Lawrence for a special mission. He began working with Arab tribes who wished to overthrow Turkish rule in a guerilla war that forced the Ottomans to divert their attention from the front lines. Lawrence’s string of military victories and ambushes through Saudi Arabia, Jordan and Syria was a stunning success, which led to his classic account of the insurgency in the book The Seven Pillars of Wisdom, which was later adapted as the Oscar-winning picture Lawrence of Arabia. Over time, however, Lawrence has been accused of embellishing the truth and inflating his role in the Arab Revolt. But a recent find in Saudi Arabia shows that Lawrence definitely took part in a battle made famous in the movie, the 1917 ambush on a train in Hallat Ammar. The bullet was found in the area that Lawrence indicates he was standing during the battle, and additional artifacts confirm his description of the position of a line of Arab rebels during the ambush. The find comes on top of the rediscovery of a nameplate from one of the locomotives that Lawrence and the rebels stopped during the ambush. Lawrence reportedly gave the battle souvenir to a family friend in 1933, but it was lost to history for more than 80 years. It all adds up to a vindication of sorts for Lawrence.